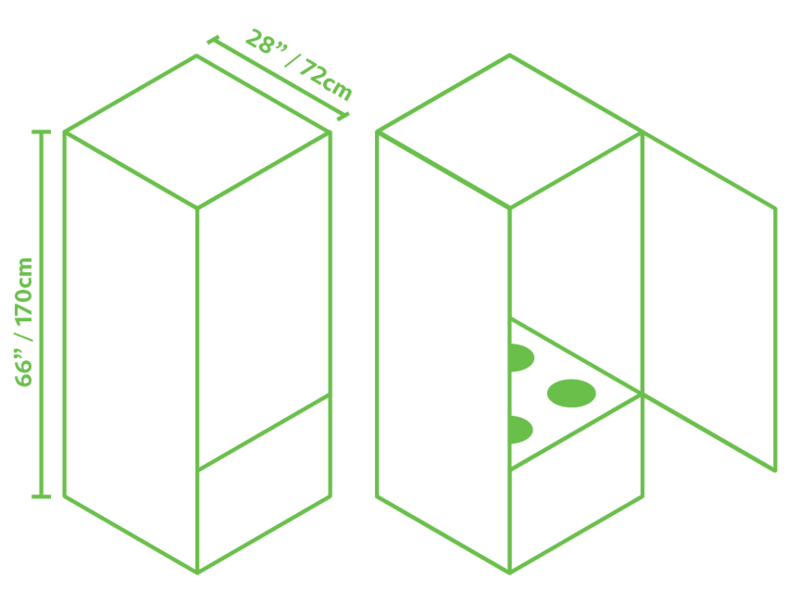 The City Grow Garden is a completely self-contained, automated growing appliance that can house up to 6 plants. Almost fully automated, you can manage your Garden from the easy to use App and leave your plants for up to 3 weeks! Grow year-round and save money with every harvest. Choose the plant or strain you want to grow and the crowdsourced database gives it the ideal conditions to thrive. Open and close the door by activating the child-proof safety lock right from the App. Set your pH range to maintain optimal nutrient uptake. Manage simple tasks that you must perform periodically with helpful reminders. Set lights and calibrate sensors wherever you are in the world. Gain peace of mind knowing your plants are safe within the walls of the Garden. 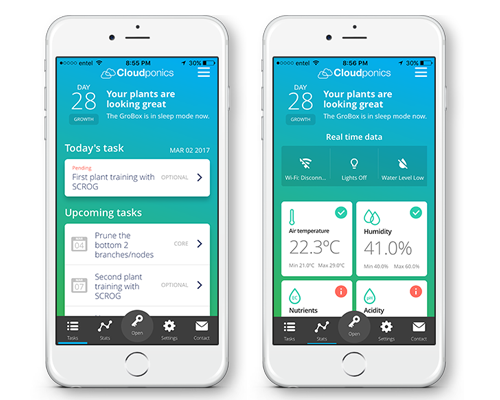 All aspects of growing are monitored by the App – that means you can leave your plants for up to 3 weeks! Save time and money by not having to visit the store or dispensary. Grow up to 8 ounces of your very product in just 3 months without ever leaving your home! Get your nutrients and replaceable parts delivered to your door whenever you need them. Order a 6 month refresh pack and never worry about the maintenance and upkeep. Make changes to your grow program from anywhere in the world! Relax and be confident that the Garden4 will adapt to your new schedule.